Play one of the world's most popular word games like never before in a re-imagined version of the classic crossword game. 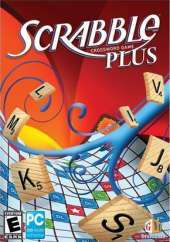 Arrange SCRABBLE letter tiles into high-scoring words in four fantastic game modes. Play the original word game hit in SCRABBLE Classic, put on your thinking cap in SCRABBLE Wizard, or play against challenging computer opponents in the all-new, board-to-board, duel play of SCRABBLE Golf and SCRABBLE Battle. Even play a round of "Clabbers", a popular fixture at SCRABBLE tournaments that has never been part of any previous digital version. Each game mode contains two imaginative variations for a total of eight exhilarating ways to play. A marvelously modern twist on timeless fun, it also features stunning new graphics, powerful hint features, endless word-forming fun, and so much more. Whether you're a veteran or a first-timer, it has something for everyone.